What is MozRank and why should it matter to us? What is MozRank? Does it have something to do with PageRank? Most brands only seem to be concerned with how Google values their positioning. But some marketing managers are seeking other tools to improve their SEO. In fact, these are the companies that really are optimising their strategies so that their websites are well-positioned in the top ranks. However, this does not mean that PageRank isn’t important. It is. But more knowledge needs to be added. And, for example, the more you know about MozRank and other concepts, the greater the benefits will be. Can you distinguish between the two concepts? MozRank basically quantifies link popularity on a scale of 0 to 10. An indicator that started with Moz, a SEO consultancy company created in 2004 which has expanded to become one of the market standards. 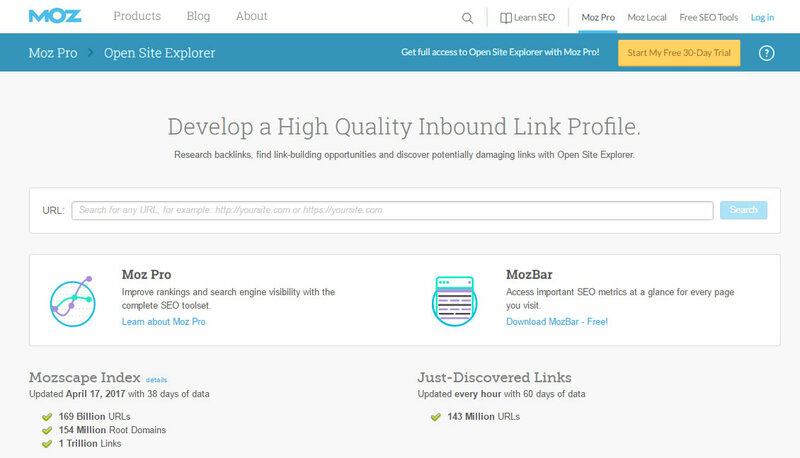 MozRank represents the importance of links on your website. This is mainly determined by the number and quality of the other pages that link to your website. This range is determined using Moz’s own algorithm. It measures the quality and quantity of links on a landing page in particular. Therefore, each page on a website receives a different MozRank classification. PageRank still plays an important role. However, some brands, unhappy with the way Google classifies, sought more precise alternatives. And that’s where MozRank came into play. What is MozRank? How is it different to PageRank? MozRank is a tool created by SEOMoz and its value lies in the fact that it has managed to bring together a community of SEO experts to boost this type of tools. Its operation is very simple. 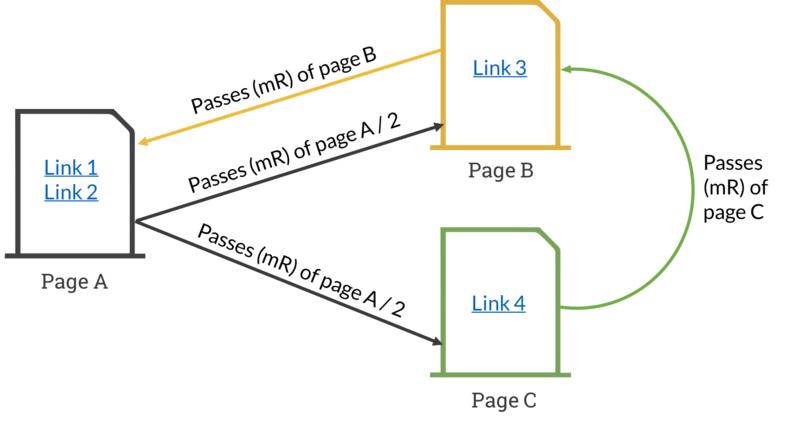 The more inbound links your webpage has, the higher your page’s MozRank will be. The main difference between PageRank and MozRank is the way you can improve your website’s classification. PageRank, on the other hand, depends more on backlinks from other websites with lots of PR. However, the popularity of MozRank is based more on the website’s ability to compile links from many popular pages. Another key difference is that MozRank improves your classification system more quickly than PageRank. In fact, with a little effort you can go from 2 to 3, or 4 to 5. However, any score above 5 requires more effort and work. If Google does not consider this classification, then why spell out what the MozRank is and take its values into account? Firstly, because it acts as a democratic indicator for determining the importance of a page. The MozRank would be the result of elections where the voters were the webpages and the candidates were the pages that include their external links. So there wouldn’t be any winner. But new high authority pages would emerge, ones able to provide high-authority links to other webpages. Why should webmasters pay attention to MozRank? The answer is simple. While search engines do not use MozRank to classify results, they do largely rely on the authority of their links. And link authority is one of the indicators that MozRank represents. Therefore, if you get high MozRanks for your websites or landing pages, it’s likely that you’ll get good classifications in the main search engines. MozRank can also be used to compare your competitors’ websites and thus get ideas for planning your SEO strategies. In addition, as it is updated regularly, you’ll gain a clearer vision of the position their websites are in or the keywords they are using to try position themselves. Therefore, as a starting point, it will help you to determine which pages and keywords are the most powerful and most used at that moment in time. Surely you’ve come across situations where some really powerful pages completely dominate certain keywords. This is due to the multitude of high-quality links they get. As a result, it’s complicated for your brand to obtain a foothold. Still, by knowing what the MozRank is and learning to interpret its results, you’ll find out which are the most feasible “battle fields” in which you should invest a little more effort. If the quality of the links is at stake, then perhaps knowing which links your competitors are getting one the most interesting aspects. Above all, if there are high-authority links among them. What is the MozRank in this sense? It is the perfect tool for identifying the companies that are in a better position than you in the major search engines. But to do so, you will have to research your keywords in the major search engines. If you’re clear on this information, you can try to imitate or reflect your competitors’ profile type with larger ranges. The tool itself has actually developed a plugin called MozBar to detect the DA and PA(Domain Authority and Page Authority, respectively) for any website. It allows you to find out how popular your competitors’ websites are. And you can find out which ones really are a threat to your position in the major search engines. As you’ve already seen, Google owns PageRank but companies have started to seek out search engine optimised alternative data that helps guide them through their SEO strategies. In this regard, knowing what MozRank is seems to be one of the most viable options that owners of websites use. MozRank has a good reputation in the SEO community thanks to its precision. It can actually be compared with PageRank in the sense that if it were updated regularly they could accomplish the same job. Perhaps you don’t think MozRank is so important, but it is the perfect guide for your SEO strategies. You can’t impersonate PageRank. But it is an important factor to take into account when optimising websites for certain keywords. How to optimise your MozRank? There are plenty of things you can do to improve your MozRank right now! The first step is to install the MOZBAR plugin. You can use it to access your Google PageRank, the Alexa popularity ranking, SEOmoz Linkscape, MozRank and many more features. This bar gives you a quick glance of your website is doing in just a single click. It’s a free tool that will provide you with tons of information and essential data. A fundamental part in adapting your SEO strategy and achieving a better position in search engines. In addition, those who have a clear idea of what MozRank is and want to further optimise it will understand that one of the vital steps is learning how to publish links properly. On using the Mozbar toolbar on the browser these brands have the ability to find out how popular a website is as soon as it loads on the browser. Webpage and blog owners can find out about effective web positioning in any search engine. The first step is to generate SEO statistics with measures to improve the results. When it comes to increasing your MozRank quickly and effectively, the use of social networks may also be a determining factor. First, you should configure and optimise your profiles on the most popular social media networks. And why not add your URL in the description whenever you can. A high level of visibility on these digital spaces is a value worth considering when it comes to boosting your position online. Use your online presence to share relevant content related to your sector. Include opinions and comments. And make sure the tone you use is friendly and engaging. That way you’ll get your followers to share you content so that more people see you. Which, in turn, will increase your MozRank. As you can see, there are various factors that determine the classification of your pages. But if you know the techniques to get natural linkbuilding without Google penalising you, then you’ll easily find the websites dealing with the same topics as you. This will make it much easier for you to develop your strategy. And, to find your competitors and improve your classification. Now you know what MozRank is, you’ll understand that Coobis, a content marketing platform, is perfect for helping you. Thanks to this tool you’ll be able to generate high-quality content and spread it over more than 9,000 media. And this will help you to heighten your profile on search engines. And all that without even knowing what each of the digital media with which you can establish a range of agreements can do for you.